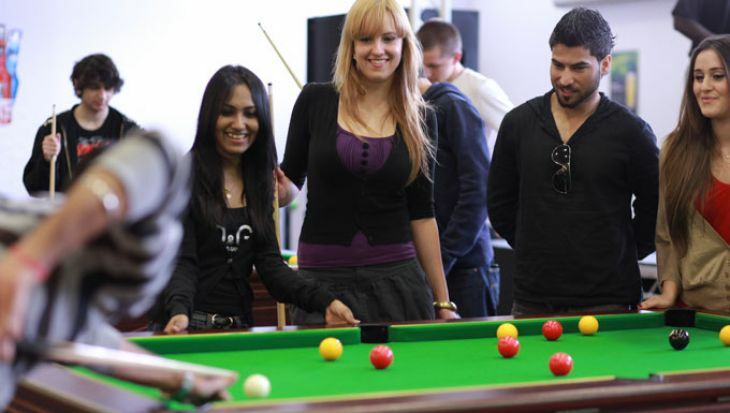 Why study BA Visual Effects at Middlesex University? Studying our degree in Visual Effects puts you at the centre of the UK industry. Our VFX facilities are some of the best in the country, giving you access to the professional-standard equipment and software you will need to master for a career in the industry. All students are encouraged to do industry placements during their degree and our close proximity to Soho puts three of the best VFX houses in the world within walking distance of each other. Based in our Faculty of Arts and Creative Industries, you will be part of our thriving creative community. 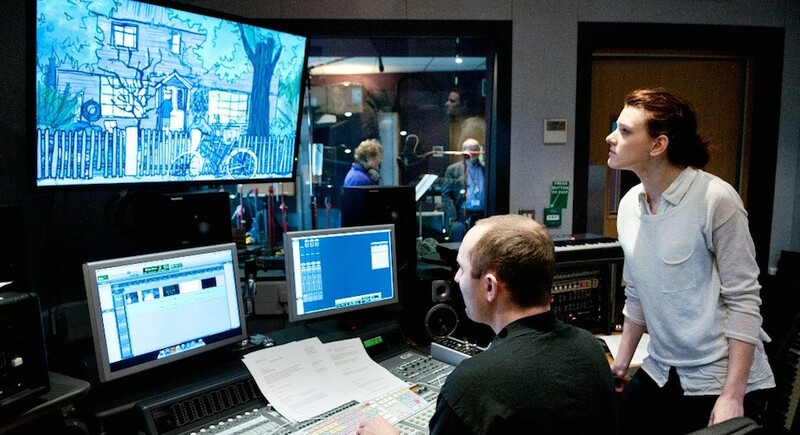 Working alongside students from our highly successful Film, TV Production and 3D Animation courses will give you real production experience collaborating on student films. Opportunities from external clients are also presented for you to work on live briefs as part of your career development. London is the visual effects capital of the world. Films like Gravity, Inception and Harry Potter were all sent here for CGI treatment. If you want to get in to the industry, this is the place to study. What will you study on the BA Visual Effects? The course starts by teaching the past, present and future of visual effects to give a thorough grounding in the sector, before moving on to equip you with the main skills, knowledge and processes required to create stunning VFX. You will learn about the VFX pipeline at the heart of effects production, the advanced technologies that make visual effects possible and the processes behind digital image creation. Year two builds on your skills, opening the door to rendering and composition tools, procedural effects such as fire and tornadoes, and how to build digital creatures and characters. You will also study the context of VFX and the effect it has had on the film industry's production processes. After Year two there is the option of a placement year in industry. During the final year you write a dissertation, undertake a major project of your choosing and build the professional portfolio which will be your calling card for a career in the industry. Visual effects have always been part of the movies. Since the very beginning of the film industry over a hundred years ago, VFX pioneers like Georges Méliès, Norman Dawn and Ray Harryhausen have brought the impossible to the movie screen. Today, visual effects are more important than ever and modern day artists and technicians continue to push the boundaries. Learn from the masters of the past and see where this exciting industry is headed in the future. The Pipeline is the heart of VFX production. Hollywood blockbusters generate terabytes of data; from massive crowds of thousands of orcs, to dynamic simulations of hurricanes and avalanches, to bridges collapsing and aircraft carriers crashing into buildings – the scale of films gets bigger each year and the software creating it all gets more complex. While software technologies come and go, the pipeline that ties them all together continues to evolve and adapt to the greater demands of film and TV directors. Learn how the advanced technologies which make VFX possible actually work. Get hands-on experience with every stage of the process. From matchmove to rotoscoping, from modelling to rigging, from rendering to compositing, this module covers the fundamental concepts, skills and processes which go into the end-to-end creation of a complex VFX shot. The film director's imagination comes to life on the screen through the imagery created by VFX artists. Techniques such as digital cinematography, concept art drawing, matte painting, physically based rendering and 2D or 3D compositing combine to tell compelling visual stories. You will study images created by the masters of the past to learn the principals of form, light and composition. This module takes you from the camera to the screen, teaching you how to create dramatic images with a lens or with a computer. Learn industry-standard rendering and compositing tools and have the opportunity to obtain certification in either rendering or compositing software. 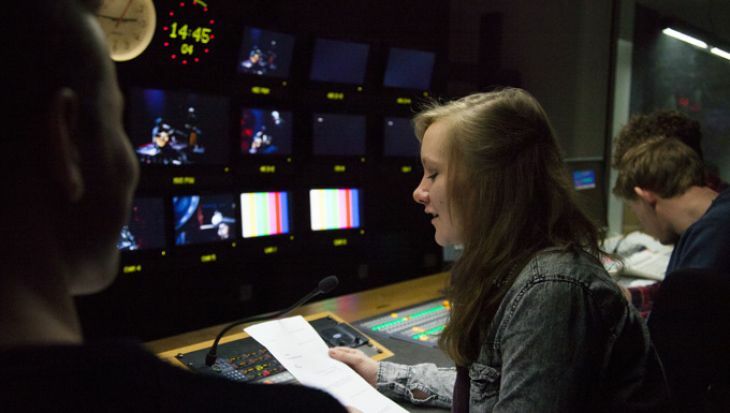 Gain experience with the same technology used on films such as Gravity, The Hobbit and Avengers Assemble. You will also have access to and learn about our Render Farm. Fire, explosions and tornados, crashing ocean waves, worm holes or even an entire alien planet; these are just some of the things which are created procedurally. Using a mixture of maths, art and VFX wizardry, any possible (or even impossible) physical effect can be created in the computer. This module will introduce you to the power of procedural modelling and simulation using the most powerful VFX tool, Houdini. Build on your artistic skills from the first year to design, sculpt and detail a unique digital character. Using cutting edge techniques, you will learn how to make a production ready creature that fits in to the rest of the digital pipeline. Focus on rendering photorealistic skin, tracking your creation onto a real actor as digital make-up or use our motion capture studio to create incredibly realistic animation – the possibilities are endless. Not every visual effect is digital, however. Real world "practical" effects still have a major part to play in the movies: there is no substitute for observing and making things in a physical form. As part of this module, you will use our 3D printers and manufacturing workshops to make a physical character design that could be used in live action filming. Learn how visual effects have shaped the filmmaking process. Not only do VFX add spectacle to the movies, they also enhance our ability to tell stories cinematically. From epic sci-fi space scenes to historic period dramas, visual effects enable film and TV to transport us to places and times we could never visit in real life. In this module you will study the ways that VFX have opened up new narrative possibilities. Your dissertation gives you the opportunity to research and discuss an advanced topic surrounding the VFX industry in greater depth. You can write about new techniques which have changed the way effects are created, analyse a particular film to show how VFX have influenced the storytelling, or focus on the technological, economic or business trends which have shaped the industry itself. These days, to get yourself noticed by major industry studios you need a stand-out showreel. We will show you how to present your work in the best possible way to get your foot in the door and start your career in VFX production. Through our industry contacts, you will also have the opportunity to apply for a work placement at a London studio. This module gives you the chance to work on a large, ambitious project. You will have the time to develop a concept with support and advice from our experienced tutors; then work on your idea from design sketches to test models, experiment with look development and pre-visualisation before rendering your scene to the highest standards possible. Alternatively, collaborate with our Film and Animation students on live projects providing effects shots for a full scale film production. How is the BA Visual Effects taught? Teaching is focused on project-based workshops supplemented by lectures and seminars so you can build a substantial portfolio of work while also developing a thorough understanding of the industry and art form. Our experienced technical tutors are on hand to help you master our suite of VFX hardware and software, and we also have lesson plans supplied by The Foundry. The Faculty of Arts and Creative Industries's close industry links allow us to regularly invite guest lecturers to come and give visiting lectures so students can learn from and network with industry professionals. Please apply via UCAS using this course’s UCAS code W614. The following course-related costs are not included in the fees, and you may be required to purchase these to complete the course. Computer at home for coursework. How can the BA Visual Effects support your career? After you graduate you will be qualified to begin a range of positions in the industry. These include roles as a Matchmove Artist, Rotoscope Artist, Modeller, Texture Artist and Junior Compositor. Ultimately, you would be able to work your way up the ladder and become a Technical Director. 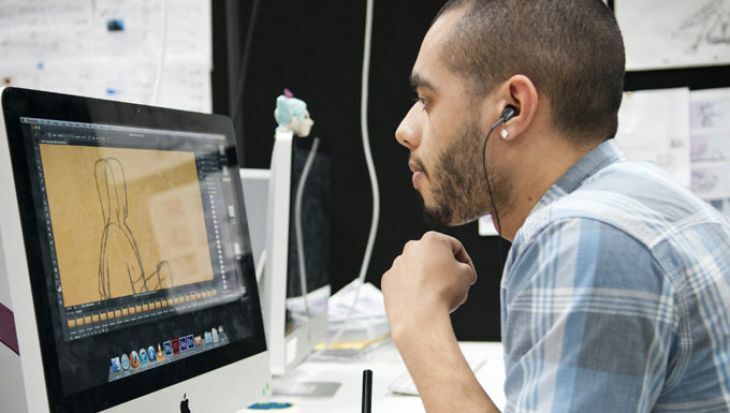 However, graduates experienced in VFX are highly sought by television companies, broadcasting organisations, film studios, independent production houses, online streaming services and specialist VFX studios – so you will be able to apply your specialist skills to a wide range of areas. 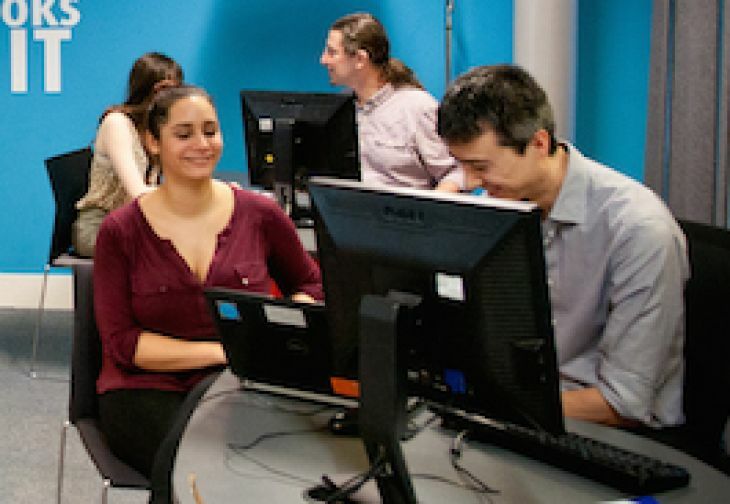 Traditionally, degrees in visual effects have left graduates without a wide enough skills base to progress from the specific roles listed above, which is why we have designed out degree specifically to provide students with a broad set of skills and experiences so they are able to turn their hand to all areas of the VFX pipeline. The facilities, studios and workshops at our £80 million purpose-built Grove Building on campus in north London are recognised as among the best in country. With a wide range of digital media equipment, software and library facilities on-site you'll benefit from unique levels of access to both the latest technologies and traditional tools. Craft and manufacturing workshops for 3D printing, moulding and casting, prosthetics and prop making. Find out more about the facilities available in the Faculty of Arts and Creative Industries by clicking the images below or visiting our Facilities page. Our recording studio houses industry-standard equipment, with a dedicated technician on hand to train and provide support. Our media and VFX studio is home to a wide range of sophisticated technology, enabling the creation of rich visual effects. You will have access to our media store, with a range of industry-standard equipment for loan. Our digital media workshops have high-end work stations for all kinds of digital media, from video editing to 3D graphics and music composition. 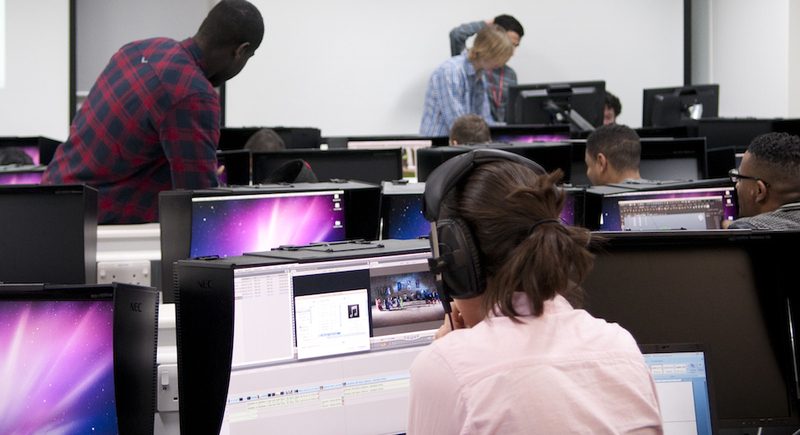 As a member of the Faculty of Arts and Creative Industries you will have access to professional editing suites, with dual boot capabilities as well as software such as Avid, Final Cut Pro and SketchUp. Sergio has over six years in Feature Film VFX (Weta, Animal Logic) and 15 years as a Digital Media educator and freelancer. He has worked in Silicon Valley at a Cloud Technology company called GreenButton which was acquired by Microsoft. From one-on-one sessions to full courses, he has a solid background in developing and delivering curricula for universities and corporate clients from a variety of disciplines. I've always had a big interest in post production and I had done a lot of editing before I came to Middlesex, but I had never really done any VFX. Originally, I was planning to just study film abroad for one year like I had in Belgium, but then I noticed they also had a VFX course. 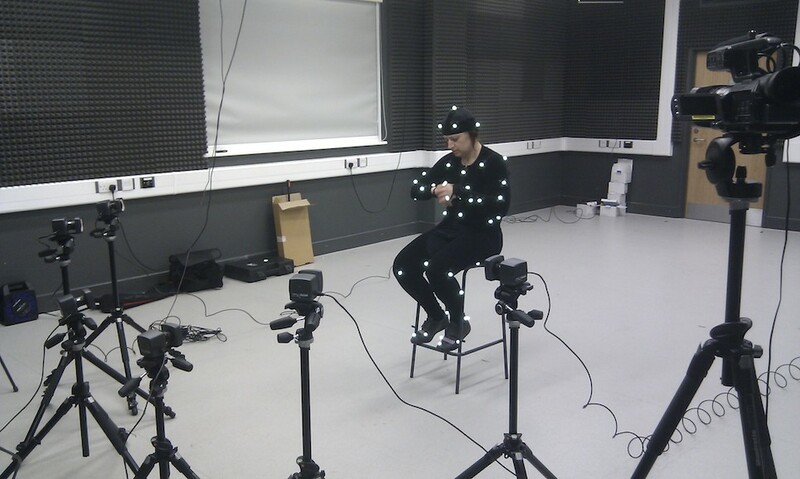 The fact that there was a motion capture studio was definitely a big factor in my decision to choose Middlesex because it shows that there's not only the knowledge but also the equipment to teach VFX properly. 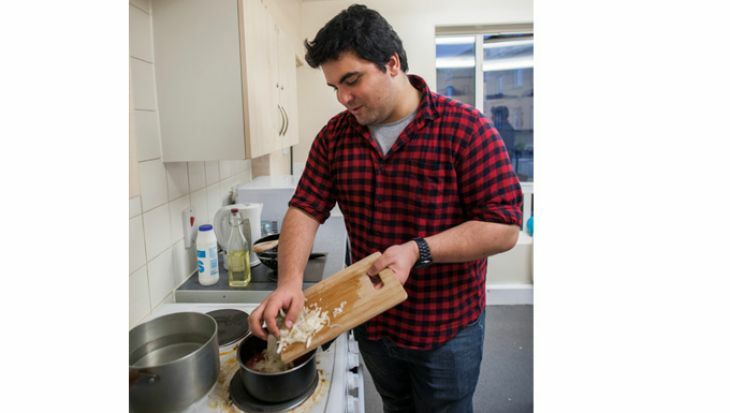 As I joined into the second year I had a lot to catch up on but with the help of the other students and my tutors, it all went smoothly and I never felt like I didn't have enough experience to do the assignments. I learned how to create a 3D model, how to create the most realistic water in 3D, and one of the most important things: how the VFX pipeline works. I am quite proud of the compositing work I did throughout the year because that's also what I did in my free time. To be fair, I'm quite proud of most of the projects I worked on this year because I had no idea I would be able to do these things in this short amount of time. It all still feels a little bit like magic to me. I loved the freedom we had. My tutors would always give us multiple ways to do our projects, and it was up to us to pick the one that we liked the most and worked best for us. 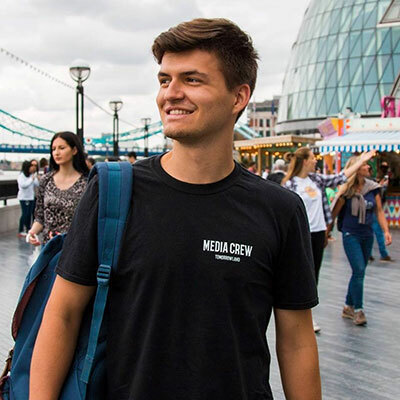 I am originally from Lithuania, and applied to a number of universities in London. When I came to Middlesex, I enjoyed the vibe straightaway; the fact that you still have that student-community, the sense of a campus, but you are also so close to central London. I knew then and there that this was the university I wanted to study at. 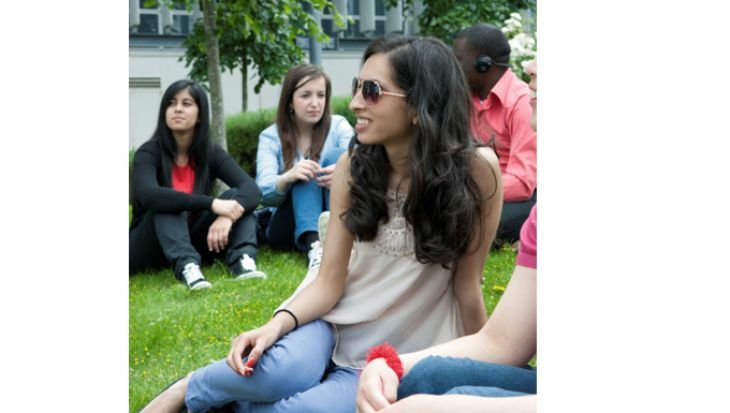 Being an international student, in the beginning I did struggle a bit, with English not being my first language, but everyone has been really accommodating. My tutors are extremely helpful and explain everything until they make sure I understand. Before coming to London, I looked at a couple of universities back home but they were lacking the facilities to put your ideas into practice. I enjoy the fact that Middlesex provides you with all the technical things and latest software you need for Visual Effects. The projects you get to work on are exciting and you don't feel that the assignments are just something you are required to do. You are really motivated and you get the opportunity to unlock your creativity. 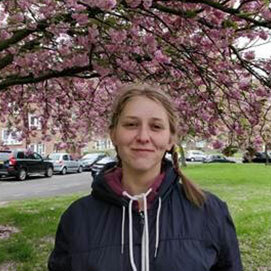 I have also got a job on the campus, working at the Loan store, and after a year here I have improved not only the skills related to my course but I am also more confident in my communications skills. When I was first looking to apply to university, there weren't that many courses like this around. I decided to come here as this was a new course, more industry-relevant and the content seemed a lot more exciting. I am really happy with my choice and it would be hard to pick what I enjoy the most about the course. My background was in something different, so everything was completely new for me. 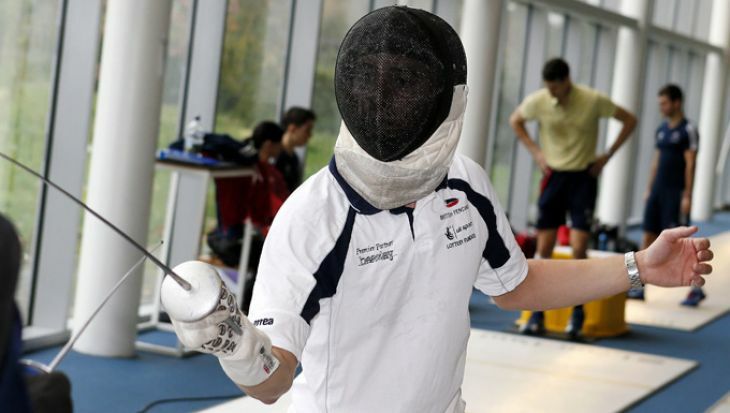 At first, I was a bit scared because I thought I wouldn’t really have the necessary skills but the tutors have been really helpful, and they teach you everything from scratch. I really enjoyed making my own digital creature, it was fun and rewarding to be able to do something like that. I chose Middlesex because it’s in London which is home to VFX industry and the whole Film/Media Industry. Because of its location, it is one of the best places you could go and have the opportunity to get work experience during your studies. During the course, you learn a wide range of aspects of visual effects and you also have a lot of freedom in focusing on what you are interested in and what you want to learn. That’s what I like the most about it, that you are not set on only one path, you are introduced to multiple ones so that you can choose what you are most passionate about.